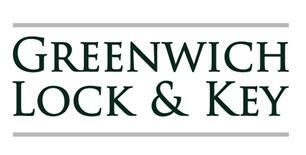 Greenwich Lock & Key Ltd is a family run business and our shop has been situated at 203 Trafalgar Road for over 8 years. Between all the staff we have over 60 years’ experience in the lock industry. We offer a full locksmith service for the local community and take pride in our skill set and the quality & variety of work we provide. So whether you have just moved in and need new locks, would like additional locks fitted to internal or external doors, need your garage security upgraded or would just like to be sure all your locks are insurance compliant, we can help. More of a DIY person? not a problem. Feel free to bring in your locks for servicing/repair or replacement. A wide range of locks, padlocks, safes etc.. are held in stock. Our bench locksmiths specialty is the repair and re-keying of antique locks. We have worked on everything from tea caddy’s to Hannah Courtoys Mausoleum lock. Dan loves a challenge! You can either bring the item in or send photos via email or Whatsapp (07415 866 694) for a quotation. Our in-house services include the keying alike of locks both cylinder & mortice type, master key systems and we also offer an EVVA EPS restricted cylinder for those that need key control. While you wait, key cutting service. We cut a vast range of keys, anything from your standard Yale & Chubb type to the Ultion, Gatemaster & Yale Superior dimple keys. We also hold a more specialist range such as Fire Brigade locks, rebated locks and Adams Rite.